*This tutorial was first published several years ago. It has been updated to be included in my shop's Lunchbox Buddies pattern. 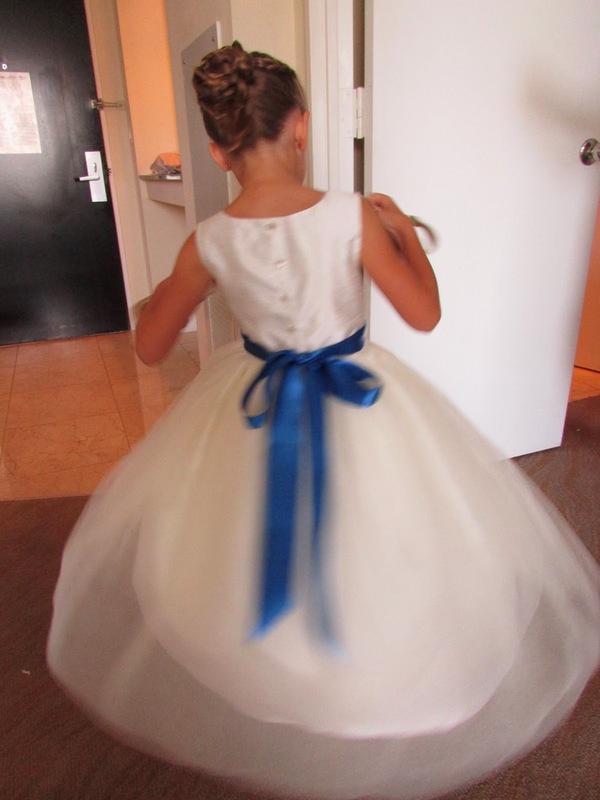 Having left over scraps from a pattern is great! As long as you know what to do with them. 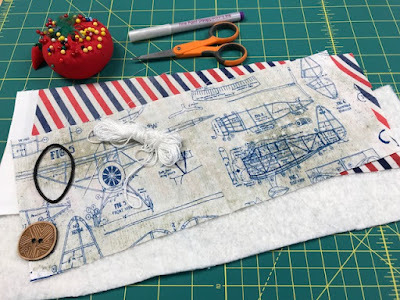 After making my shop's Lunchbox Buddies, a reusable sandwich wrap and snack bag, you'll have enough fabric left over for a coffee sleeve for those early morning school drop offs! Gather up your scraps and these basic sewing supplies: quilt batting, DMC embroidery floss in the color of your choice, a front fabric and a back fabric, sharp scissors, pins and a hand-sewing needle, a decorative button, disappearing ink marking pen and 5" of some really skinny elastic, or a fine-hair hair tie. You'll also need a chopstick or or something similar to poke out the corners, and a leftover paper sleeve from your last coffee run. With a pencil, trace the coffee sleeve onto a piece of paper. I did not include the little notch in the bottom left-hand corner. I just squared it off. 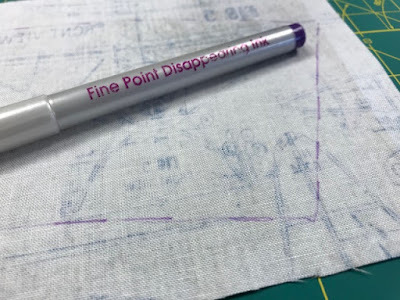 Next, using a ruler or gauge, measure out 1/2", all the way around the traced sleeve, making marks every so often. 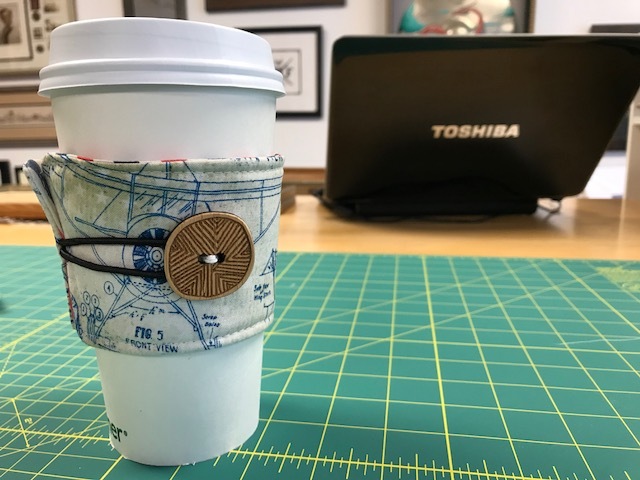 Connect all your little marks, essentially making a larger coffee cozy. 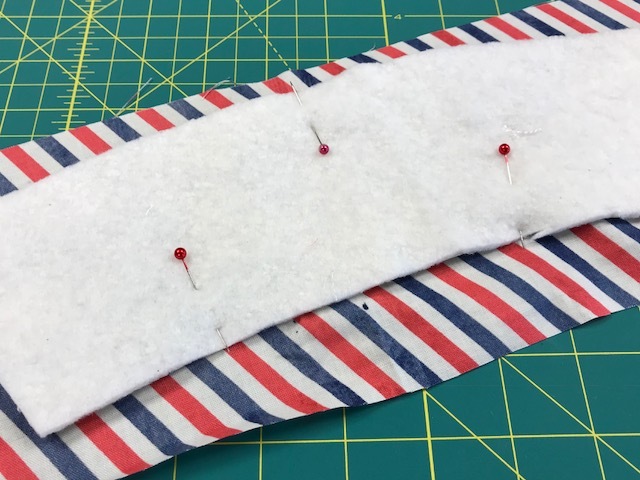 This gives you a 1/2" seam allowance. See where the arrow is? Cut all the way around on that outside line. Lay the front fabric, right side up on a piece of batting. Then measure 2 1/2" in from the left side. This is where your button will go. 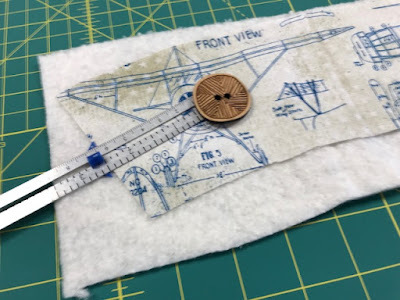 Sew the button on the front fabric piece, through the batting too, with the hand sewing needle and the embroidery floss. 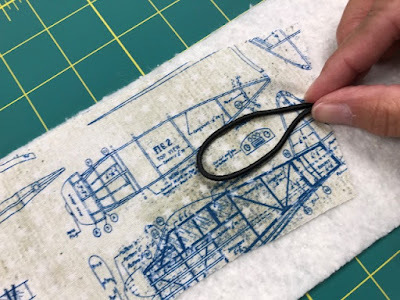 If using 5" of round elastic, tie a knot in each end and fold in half, then hand stitch it to the opposite end, in the middle. If you're using a hair tie, pinch the elastic at one end and stitch in place. 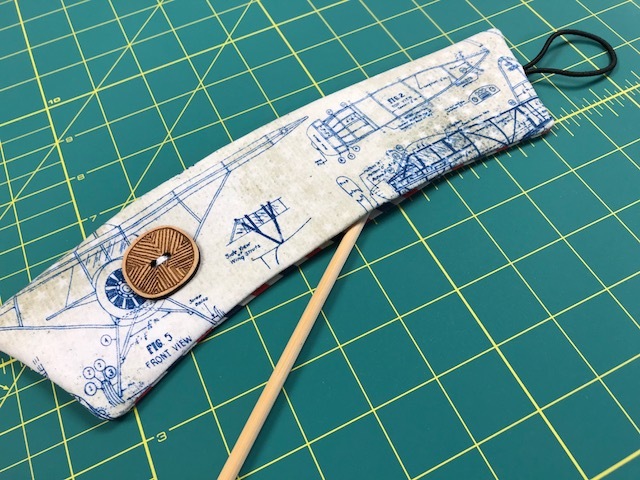 This holds the elastic in place so that it doesn't roll out from under your sewing machine foot when you sew the piece together. Make sure your hand stitches are close to the edge so that they wind up in the seam allowance. Trim the batting and then flip the front fabric piece face down onto the right side of your back fabric piece. They should make a sandwich, both right sides facing. Pin the layers together. 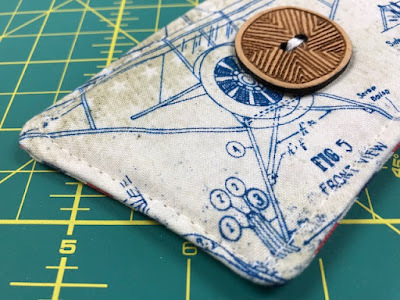 You are going to stitch all the way around, but leave an opening along the bottom, between those two lower pins, about 4" wide. You will use the opening to turn the sleeve to the right side. Making sure to leave the turning opening, stitch all three layers together, using a 1/2" seam allowance. 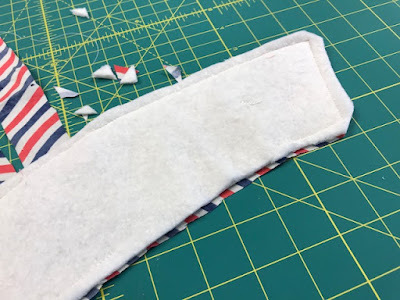 Zigzag stitch over the elastic in the seam allowance, and trim the backing fabric. Then cut the corners at a 45 degree angle. Remove your pins. Turn the cozy right side out through the opening. Make sure the batting layer stays to the inside. Push the corners out with a chopstick or turning tool. Press the cozy, paying particular attention to the opening, making sure the raw edges are tucked in. Don't run over your button or elastic with the iron. Top-stitch around the cozy, using a longer stitch, and backtacking at beginning and end. 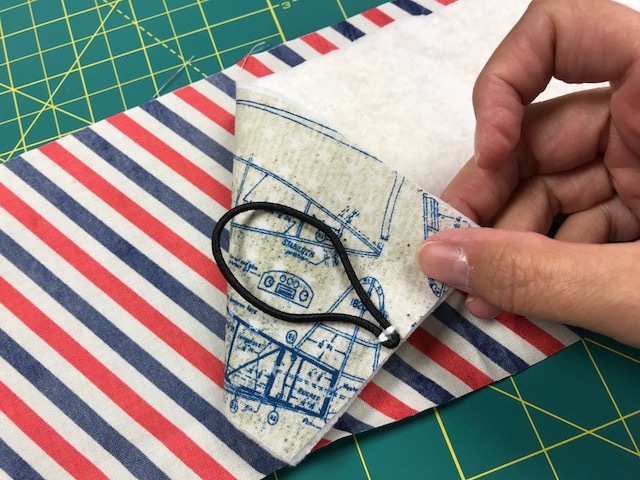 Your stitches should catch and close the opening for turning. Tada! Coffee cozy. Now, go make a bunch for your friends and let me know that you did!